Twice a year I meet up with some friends from college for a backpacking trip. 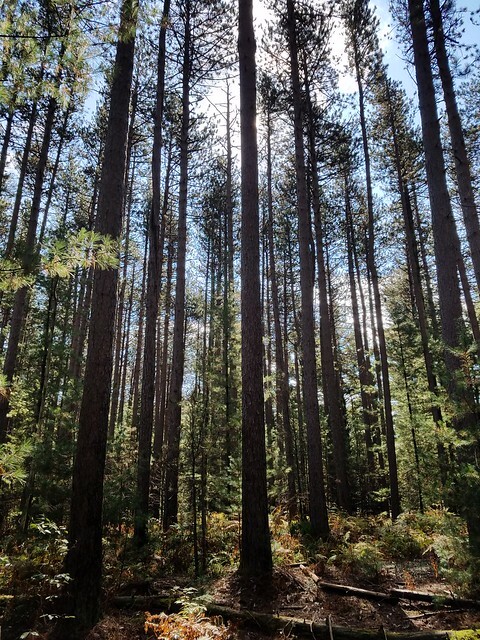 This past Fall, we decided to hike a part of the Old Loggers Path (OLP). I had previously hiked the OLP in July. After years of not stepping foot on the trail, it was odd to be on it twice this year. The OLP has become one of PA’s most popular backpacking trails due to its scenery, isolation, and moderate terrain. Despite it being a cold November weekend, there were still several cars at the trailhead in Masten, where we parked. Ian, Dan, and Tim came on this hike. We decided to do the northern half of the trail, which is the most scenic. So, we had to shuttle a car, which we parked where Yellow Dog Road meets Ellenton Road. 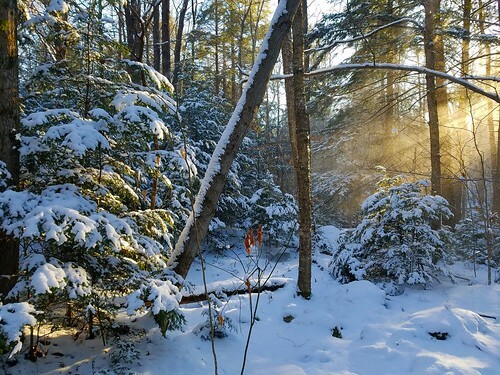 From Masten, we hiked counterclockwise, following the old logging grades under hemlocks and across tumbling streams. 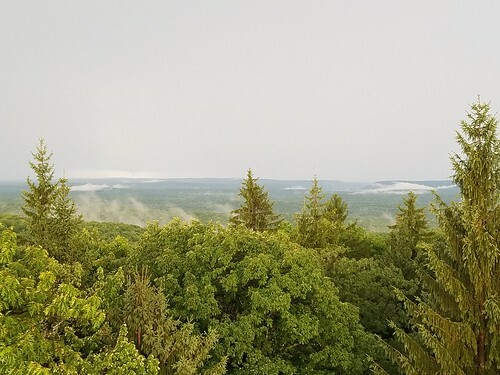 After a very wet, and at times rocky, hike at Dolly Sods this spring with the group, it was nice to be on the more forgiving terrain on the OLP. Wind whipped through the bare forests, with only beech providing the last of the Fall color. We made our way down to Rock Run as a thin layer of snow covered the ground pine. We hiked under hemlocks as Rock Run roared below. I then led the group off trail a short distance to see the striking Chasms of Rock Run, where the two branches of Rock Run joined among beautiful gorges, cliffs, cascades, and pools. Everyone was impressed by the beauty. The water roared over rapids and across the smooth bedrock into deep swirling pools. The place felt wild and primeval. Across the creek was an incredible campsite, where we all made a note to come back to in the Summer. 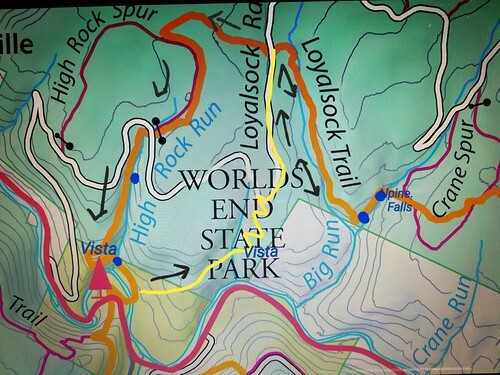 We got back on the OLP and descended to where Yellow Dog Run meets Rock Run, another place of great beauty. Yellow Dog tumbled over a falls into Rock Run’s bedrock chasm. Rock Run is so amazing. Great campsites were nearby, but our goal was the new shelter at Doe Run. So, we had to hike up a gradual grade. As we climbed, below us was a twenty foot falls on Yellow Dog Run. After crossing Yellow Dog Road, we made our way to Rock Run Vista. Along the way, we passed two volunteers I know from the Keystone Trails Association (KTA) who were maintaining the trail. 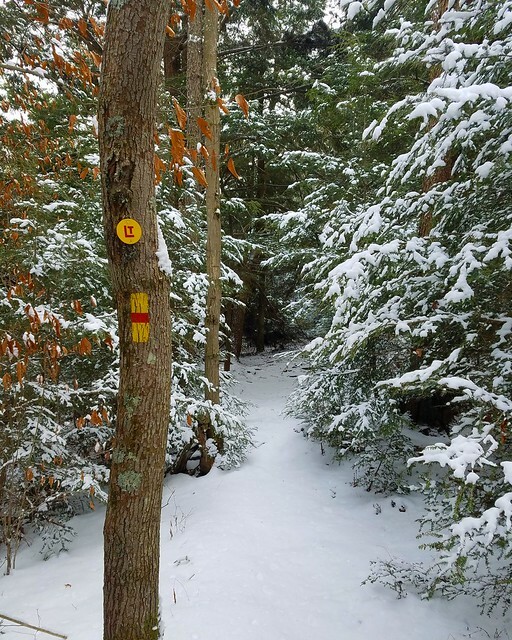 KTA is a great organization that does so much for trails in PA, please support them. We enjoyed the view over Rock Run as a cold sun began to set. We were soon back on the trail to Doe Run Shelter. Thankfully, no one was using the shelter, which is set above the tumbling rapids and cascades of beautiful Doe Run. There are several campsites nearby, and one was occupied by another backpacker. We soon settled into the shelter and got a fire going. A panorama of stars spread across the night sky with a few shooting stars. After eating and talking, we went to sleep. The next morning, the dark forest returned to light and I decided to set out and see Doe Run Falls, which is below the OLP. I followed Doe Run down into a rugged gorge and reached the falls, set in a striking chasm of bedrock with two drops. It was very beautiful. After I hiked back up, the others had their gear together and we continued on the trail. 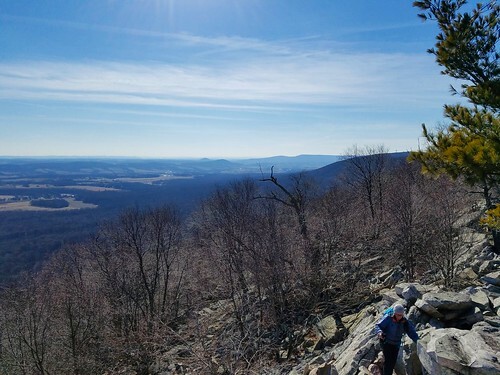 We crossed Buck Run with its large boulders and we made our way to the top of Sullivan Mountain to enjoy its series of vistas over the vast plateaus. We then turned left onto the Crandalltown Trail to make a loop back to Buck Run. From there we hiked out along the Ellenton grade to the second car parked at Ellenton and Yellow Dog Roads. After a great meal at the Forksville Inn, we went our separate ways until the next trip. (Note regarding photos: due to changes with Flickr, I will be linking photos from my Instagram account). Mist in the chasms, Rock Run. Tim at the Chasms of Rock Run. So blessed to be able to enjoy this amazing place. 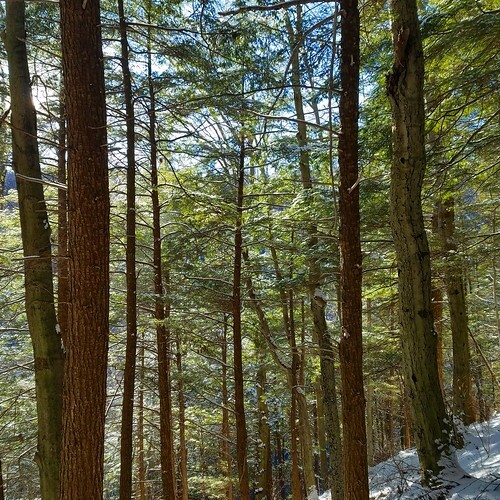 Loyalsock State Forest. Yellow Dog Run and Rock Run, a classic spot on the Old Loggers Path. Yellow Dog Run tumbles into Rock Run. Sunset on the OLP. A classic backpacking loop. Loyalsock State Forest. 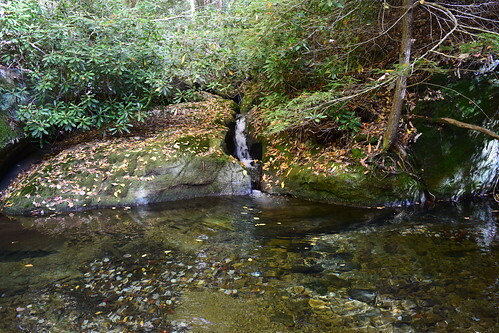 Upper part of Doe Run Falls. Doe Run Falls, about 200 yards off the Old Loggers Path. There are more falls, and a striking gorge, above this falls. We enjoyed camping at the new Doe Run Shelter, we had it all to ourselves. The sound of the creek filled the forest. Stars filled the sky, and we saw a few shooting stars. Wetland with many blood red pitcher plants. The Old Loggers Path (OLP) is a classic backpacking loop that has grown in popularity over the years. I was surprised to realize that I last backpacked the entire trail in 2012, over six years ago. So I decided it was time to return and experience this trail once again. I was also looking forward to seeing the two new shelters that were built on the trail last year. As a change, I decided to hike the trail clockwise, something I had not done before. I also decided to start at the new trailhead off of Krimm Road, instead of Masten, the traditional trailhead. I arrived late morning, quickly got my gear together, and began hiking down the trail. It felt good to stretch the legs and hike on an actual trail, instead of bushwhacking, my more common pursuit. The trail followed old logging grades and crossed a small meadow. 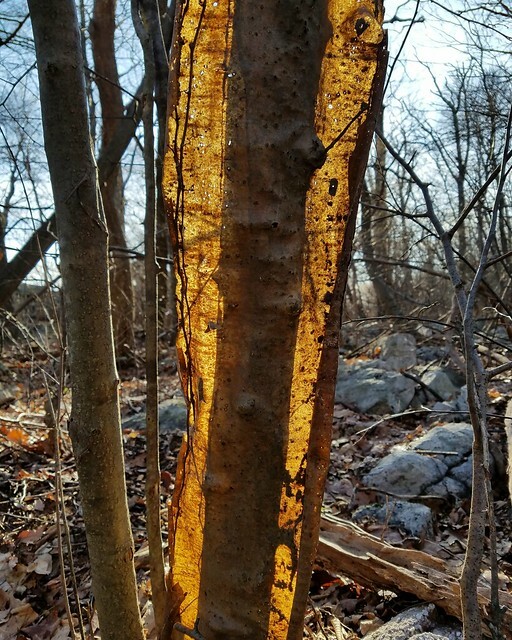 I hiked past a large campsite along a stream with damage from a flood in 2016. I soon reached Masten and continued on the trail as it made an easy, gradual climb through a forest of beech trees. 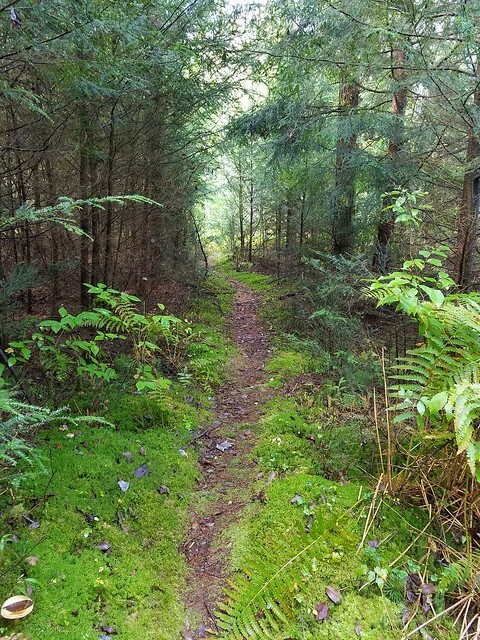 I crossed a dirt road and entered a scenic hemlock forest where I took a break. The OLP doesn’t have a lot of forest diversity; most of the trail features hardwood forests, so it was nice to sit under the cool hemlocks. I encountered patches of stinging nettle along the OLP, but it wasn’t too thick and I was able to pass through, with shorts on, without too much discomfort. I soon reached the side trail to Sprout Point vista and shelter. The shelter was near the vista which provided nice views over the valleys and ridges. It would be a great place to stay for the night, but there is not any water nearby. The OLP then descended through scenic, open forests of hardwoods. I crossed another road and traversed a series of stream valleys with rolling terrain. Each stream had a little water, and a campsite. The OLP also passed along a logging cut. A steep climb followed up to the trail’s finest vista, Sharp Top. Up until this point I had only seen two other hikers, but there were about ten backpackers at the vista, enjoying the wide panorama of wooded lowlands and distant mountains. It is an impressive view so I was happy to take a rest for a few minutes. The trail followed the edge of the plateau with a series of ledges and then entered brushy areas with plenty of blackberries. I then hiked into a mature forest above a stream with the sound of cascades that filled the air. As I neared the bottom, I passed the yellow blazed S&NY Trail, which is a cross connector trail to the OLP. I soon reached a campsite at Pleasant Stream. Pleasant Stream suffered from a lot of flood damage with embedded trees and gravel, sand, and cobblestones everywhere. I crossed the stream easily, passed another campsite, and continued on the trail. This next section was re-routed due to the flood damage; the trail made a steep climb up to the road, followed it for a little ways, and then followed a grade to Long Run. I crossed Long Run and passed more hikers. A climb then ensued up Sullivan Mountain as I tried to move fast to see the sunset. I reached the first series of vistas with beautiful view of the mountains basking in the golden glow of the setting sun. It was breathtaking. I set up my tent at a small site near one of the vistas. I sat at the vista and watched the stars come out. Owls hooted in the distance, coyotes howled through the forest, and fireflies lit up the sky. I was up early the next morning and enjoyed watching the rising sun through the misty trees. The trail passed large boulders and followed level grades over springs and small streams. I reached Doe Run and saw the new shelter, which was set close to the creek in a beautiful location. I made note to camp there on a future hike. I reached a view over Rock Run Gorge, where a couple were just getting up and I then hiked down to gorgeous Rock Run, passing above an unnamed falls on Yellow Dog Run. This is such a beautiful stream with its bedrock pools, chasms, and waterfalls. I sat there for a while to eat and enjoy the scenery. While there I spoke to another backpacker. I was surprised by the number of hikers on this trail. I saw almost 40 hikers, but the OLP did not feel particularly crowded. 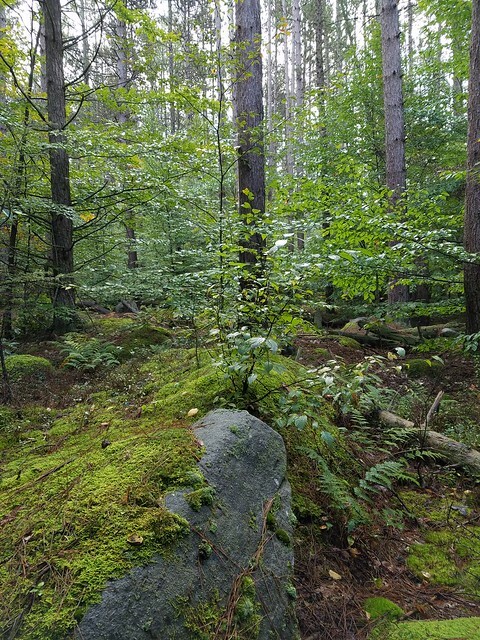 I like the northern section of the trail because of the scenery and the hemlock forests. The rapids of Rock Run filled the air as I hiked up the trail, passing several other hikers. I crossed a few more streams and then returned to my car on Krimm Road. It was great to be back on the OLP. Hopefully my return will not be in another six years. 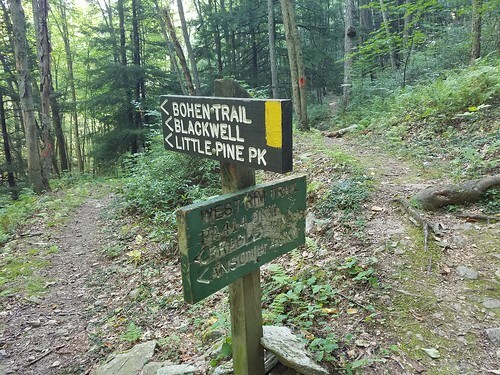 This trail is described in Hiking the Endless Mountains and Backpacking Pennsylvania. 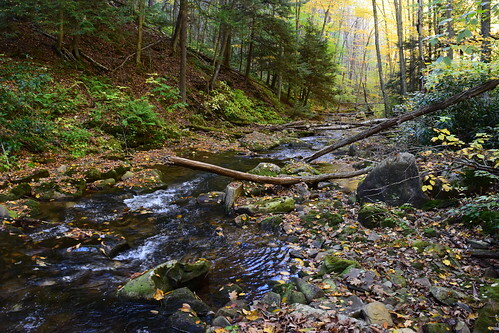 Location: Loyalsock State Forest at Masten. Located between Shunk and Ralston. Difficulty: Moderate. The trail often follows old grades with gradual changes in elevation, but there are steep areas near Sharp Top and Long Run. 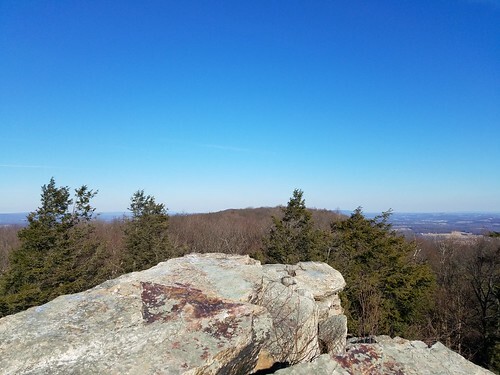 Highlights: Rock Run, a stream of exceptional beauty, Sharp Top, Sprout Point, views from Sullivan Mountain, big rocks near Buck Run, two shelters at Sprout Point and Doe Run. Vegetation: Mostly hardwoods with some laurel. There is some hemlock along Rock Run. Stinging nettle is an occasional issue in the summer. Camping: Most streams have a campsite. There are two shelters. 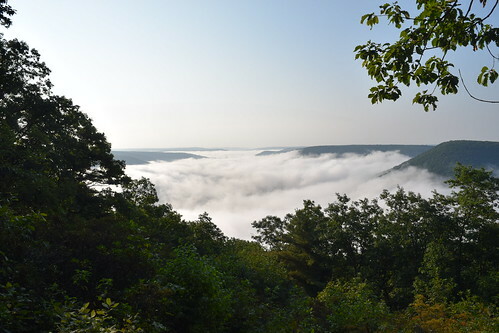 If you want to camp at a view, there are small sites at Sprout Point, Sullivan Mountain, and the view over Rock Run. Water: Generally not an issue. In very dry years the only creeks that will have water are Pleasant Stream and Rock Run. Concerns: There is no bridge across Pleasant Stream. In high water this is a dangerous crossing. Go clockwise or counterclockwise? From Masten or Krimm Road, the trail is easier counterclockwise. Going clockwise saves the best scenery towards the end of the hike. Where to start? 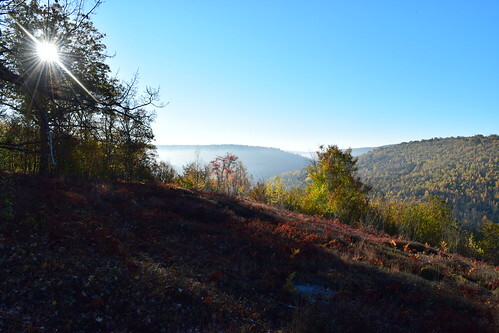 Most people start at Masten, but Krimm Road is another ideal starting point, particularly if hiking the trail clockwise. Krimm Road is located just off of Ellenton Road. Trail worth hiking? Yes. The OLP is an ideal weekend loop that is usually well graded. There aren’t a lot of rocky areas. The terrain isn’t too easy, or hard and there are beautiful forests and scenic features. New York has the most diverse scenery of any state east of the Rocky Mountains. The Empire State boasts vast lakes, canyons, alpine peaks, huge waterfalls, large rivers, pastoral countryside, beaches, and significant wilderness. It also has an extensive backpacking trail system. Which ones should you hike? Most of the hikes below follow routes that include multiple named trails. For more information, see Backpacking New York. 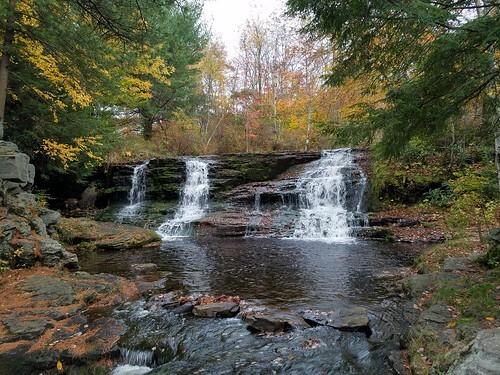 Hike the North Country and Finger Lakes Trails across New York’s largest state park. Enjoy scenic forests, streams, and three shelters. While this hike doesn’t have standout natural features like waterfalls or vistas, the beautiful forests and good isolation make this an ideal backpack. Perfect for autumn colors. This trail stretches across stunning Letchworth State Park, exploring the more isolated eastern rim of the famous gorge. There are views of two of the giant waterfalls and great views at the southern and northern ends of the trail. The trail passes many steep ravines carved by sidestreams with seasonal cascades. There are two shelters. 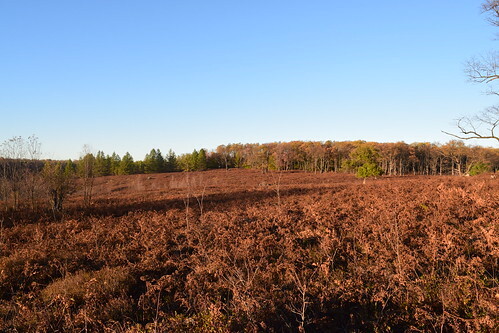 This loop follows sections of the North Country Trail and a rural road. It features two ponds, scenic forests, streams, an incredible vista, and impressive Tinker Falls. You will also enjoy a gorge with cascades. There’s a lot of scenery along this small loop, which is strategically located in the central part of the state, south of Syracuse. There is one shelter. 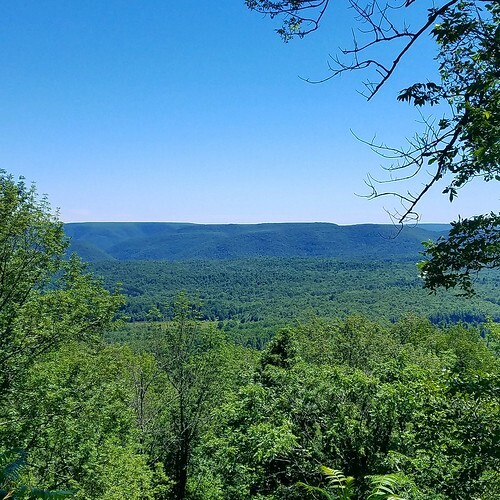 A classic trail, enjoy stunning views, ledges, rock outcrops, a lake, boreal peaks, diverse forests, Blackhead Mountain, Windham High Peak, and famous Kaaterskill Falls, which is just off trail. The trail is known for being dry. There are two shelters. Summit four Catskill peaks with spruce forests and excellent views. There are beautiful spruce forests and two shelters. Water can be limited. There is a four mile roadwalk to complete the loop. One of New York’s most famous, and brutal, trails. The punishing terrain reveals incredible views, rock shelters, and outcrops. Trail is very rocky and steep in places. Enjoy the spruce forests. The eastern half is drier, has more views, and is more difficult. The western half is easier, has more water, and a waterfall. There are four shelters. The classic Catskills backpack that summits three peaks, including the highest in the Catskills, Slide Mountain. The views are stunning from spruce covered summits. 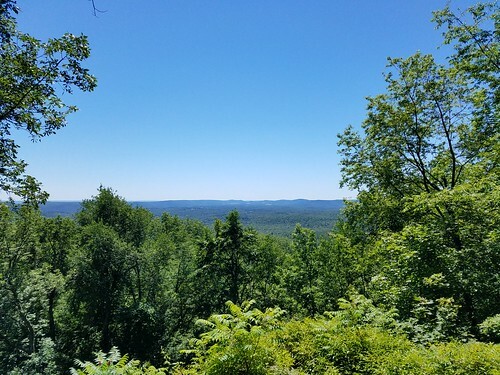 Be sure to include Giant Ledge with its own series of excellent views. The best trail that you never knew existed, put this one on your list. It features excellent vistas from grassy balds on mountain summits, cascading waterfalls, and just off trail, the stunning Bash Bish Falls. The trail straddles the New York/Massachusetts border. Alander and Brace Mtns. cannot be missed. It’s hard to believe this trail isn’t more popular. 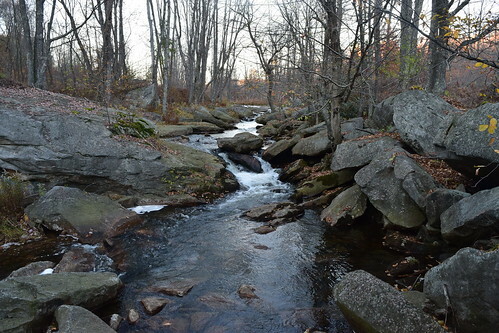 Harriman is a very popular and surprisingly beautiful park that has a vast web of trails. I like this loop because of its diversity and relative isolation. It encompasses Island Pond, Lake Tiorati, and the Appalachian Trail. There are many vistas, ponds, cascades, rock outcrops, streams, gorges, and the famous Lemon Squeezer. There are three shelters. This is the best section of the little-known Shawangunk Ridge Trail; it goes from NY 55 south to NY 171. 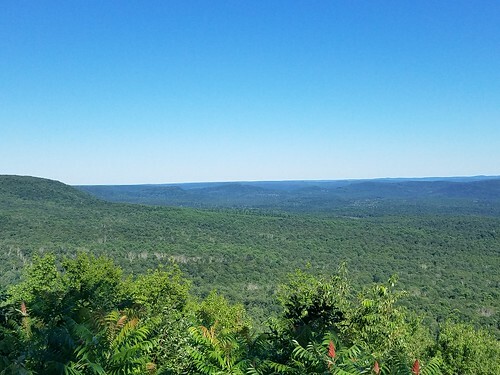 As you’d expect for the Gunks, there are non-stop views from white cliffs. Highlights include Sam’s Point, Ice Caves, and towering Verkeerderkill Falls. The trail is very circuitous through Minnewaska State Park. Camping is a problem on this route and is prohibited along its northern half. South Gully is a scenic gorge. The southern half of this route is quite nice with many vistas, isolation, and camping potential. Watch for sun exposure on the northern half and water can be a problem in dry weather. An excellent loop with beautiful ponds, cascades, and great camping. Enjoy views of pristine Lake George. The views from Sleeping Beauty, and Black Mountain in particular, are stunning. There are five shelters. A popular and beautiful destination, this loop offers gorgeous ponds, streams, a waterfall, incredible camping, and superb views. There are also mining remnants. Views from Pharaoh Mountain are excellent. There are eleven shelters, often in beautiful locations. A great backpack to get away from it all in an isolated wilderness. There are beautiful lakes, wetlands, and streams. Boardwalks offer views over the water. There are eight shelters, often along scenic lakes and ponds. 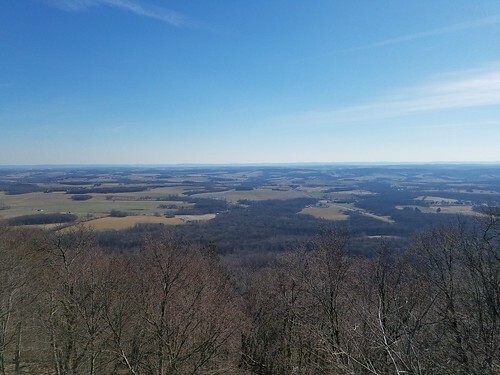 A side hike to the top of Pillsbury Mountain from the trailhead offers excellent views. 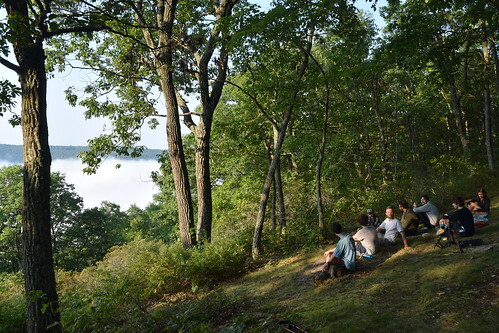 New York’s premier backpacking loop, this trail has become increasingly popular. 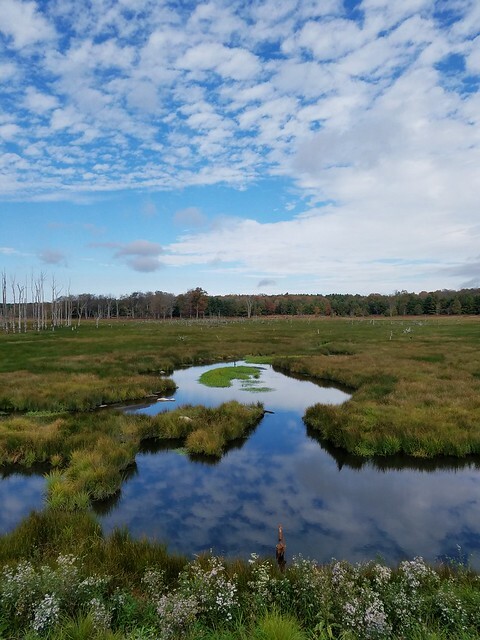 Enjoy views of beautiful lakes and ponds, traverse the top of beaver dams in wet areas, and revel in the isolation of woodlands and grassy meadows. Do not miss High Falls or the excellent views from Cat Mtn. There are also a few waterfalls and cascades. There are four shelters and many great campsites. The trail goes through the village of Wanakena and there are almost eight miles of roadwalking to complete the loop. For shorter loops, do the High Falls or Dog Pond Loops. 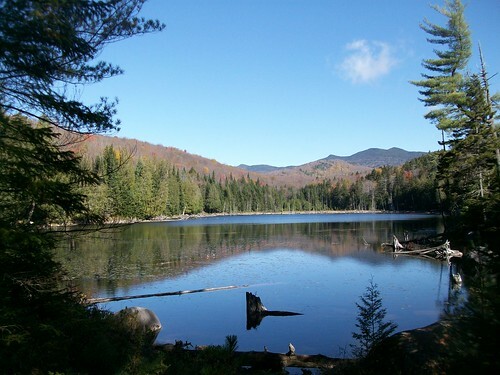 New York’s premier backpacking trail, this iconic trail stretches across much of the famous Adirondack Park. This is a lower elevation trail and mountain top vistas are rare, but there are numerous ponds, lakes, rivers, creeks, and some cascades. The trail crosses grassy meadows and isolated woodlands. Enjoy the stunning scenery, rapids, and pools of the Cold River. There are many shelters and campsites, often in stunning locations. The West Canada Lakes Wilderness and Cold River sections are generally considered the most scenic, but there is no bad section of the trail. Do not miss Wanika Falls. 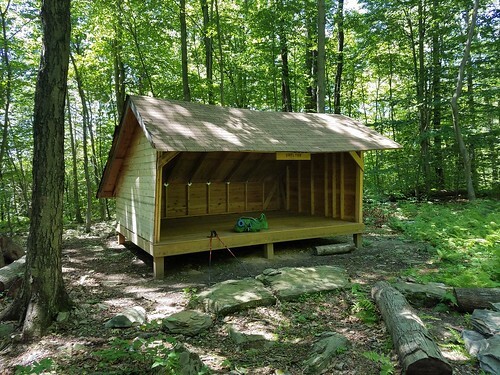 Piseco has a post office for a food drop and showers are available at Lake Durant Campground. Hiking this trail will be an experience you will never forget. An isolated loop with great wilderness, this hike offers the stunning scenery of Cold River, scenic woodlands, streams, and great camping. Latham Pond is gorgeous with its views of the Seward Range. The Cold River has incredible rapids, cascades, and giant swimming holes. There are ten shelters. Side trails lead to the summits of the Seward Range. The stunning scenery of the High Peaks attract hikers from around the world. It also presents a challenge to traditional backpacking due to the punishing terrain and competition for campsites and shelters. If backpacking during the busy season, it is recommended you go mid-week. These routes follow a series of individually named trails. See gorgeous lakes surrounded by towering mountains. A side trail leads to impressive Hanging Spear Falls. The arduous climb up to Algonquin reveals cascades and stunning views from an alpine peak. Hike by Heart Lake and up Indian Pass Brook to scenic Rocky Falls. Indian Pass is insanely rugged, and beautiful. There are seven shelters near or along the trail. The “easiest” of the High Peak backpacks, this route has it all. There are lakes hemmed in by cliffs, scrambling, and alpine peaks. The Opalescent River is stunning with its chasms and rapids. Be sure to hike Skylight Mountain to its alpine summit. Hiking up the backside/southside of Mt. Marcy can be a little intimidating, but its is exhilarating. The top of New York’s highest mountain is stunning. Hike above Indian Falls and enjoy beautiful forests of birch and spruce. There are many shelters. 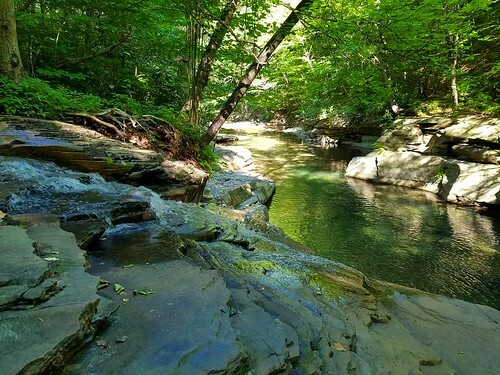 The most difficult backpack in New York, this is an incredible and challenging loop with incredible views, waterfalls, ponds, lakes, chasms, and gorges. Take a rest at Johns Brook Lodge and tackle the Great Range with its incredible views. The views from Pyramid Peak may be the best in the High Peaks. Rainbow Falls is amazing and the classic view from Indian Head will take your breath away. The section along Nippletop and Dial Mtn. is more isolated, but still gorgeous. The section along Deer and Flume Brooks is surprisingly scenic with waterfalls and camping potential. If you finish this hike, pat yourself on the back. It is tough but so rewarding. For more information, see Backpacking New York. 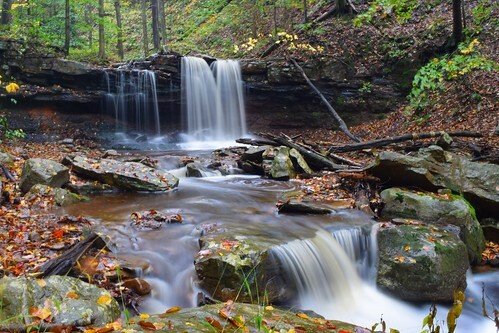 Alpine Falls is a beautiful spot in the Loyalsock State Forest, along the Loyalsock Trail. Alpine Falls is about 25 feet tall and is located in a scenic glen. There are campsites downstream from the falls, including another waterfall. Alpine Falls also makes for a great hike from Worlds End State Park and is notable for its beautiful hemlock forests. Thanks to a variety of trails, it is possible to do this hike as a dayhiking loop or as a quick overnight backpack. The loop is about 8 miles in length. We began at Worlds End by hiking the orange blazed Butternut Trail as it climbed behind the cabin area along an old grade. Turn right onto the Butternut Trail loop as it enters a glen of Butternut Run with some waterfalls. 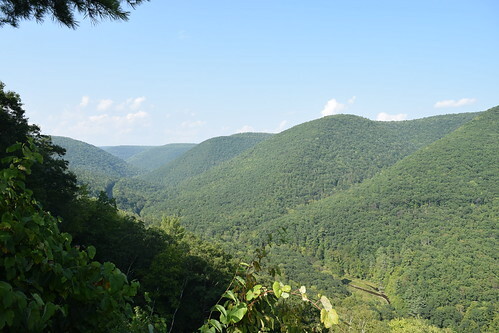 Climb along switchbacks over rocky terrain and below a ledge to a nice view looking down the Loyalsock Creek into the park. The Butternut Trail continues and soon meets a yellow blazed trail leading to Loyalsock Road, on the right (if you cross the creek again, you went too far). The yellow trail climbs to the top of the plateau and then levels before reaching Loyalsock Road; turn right onto the road. 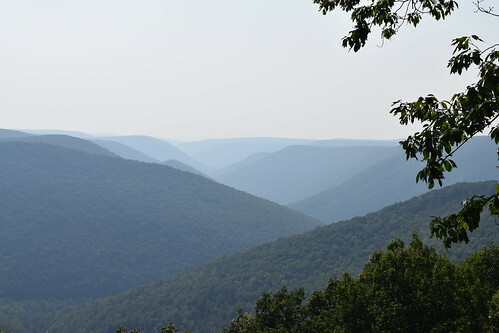 Walk the road for about a mile until you see the Loyalsock Trail (LT); follow it to the right. The LT enters beautiful hemlock forests along a wetland and then crosses a stream. A deep gorge forms below the trail with rapids and a few campsites. The LT stays on a grade. 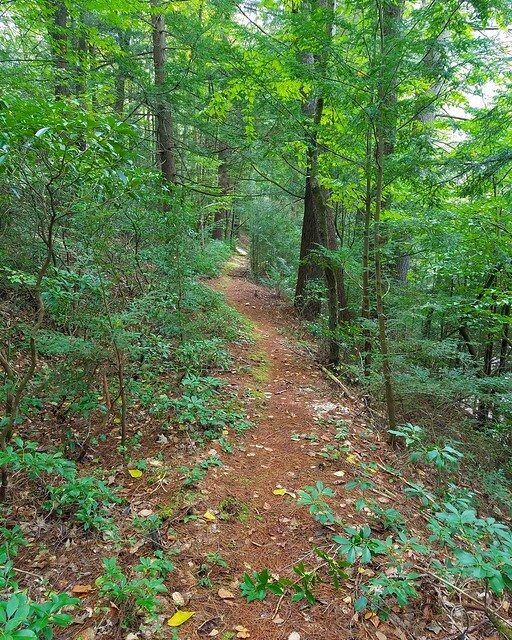 The trail climbs under a scenic hemlock and pine forest and then descends steeply to another grade. Enter another gorge with a campsite; off trail and downstream is another falls near the state forest boundary. A short distance further a side trail is on the right and leads to the base of Alpine Falls. The falls drop down a series of ledges into a pool along a large cliff. It is a beautiful, isolated spot and a great place to spend the night. When we were there, the falls were frozen over and the bright sunlight made it tough to take a good picture of it. Now, retrace your steps on the LT back to Loyalsock Road. You can either retrace your steps back to the Butternut Trail, or hike a loop by continuing on the LT. The LT traverses hilly terrain with gorgeous hemlock forests and wet areas along an old grade. The beautiful forests have some ledges and extensive areas of ground pine. It’s a wonderful place to hike. Cross Loyalsock Road a final time and turn left to descend along High Rock Run. This run has many cascades and waterfalls. Pass a yellow trail to the left (which leads to the Butternut Trail) and a campsite below the LT. The LT stays on a grade above High Rock Run’s deep gorge. 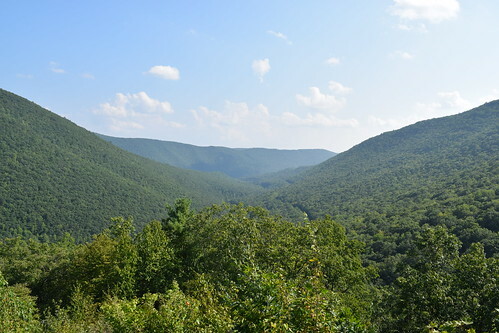 The trail enters hemlocks, winds in between ledges, and descends to High Rock Vista with its great view of Worlds End. Continue on the LT as it traverses as rocky area and makes a rugged, rocky descent to High Rock Run. Below is High Rock Falls, although it is hard to get a good view of it. 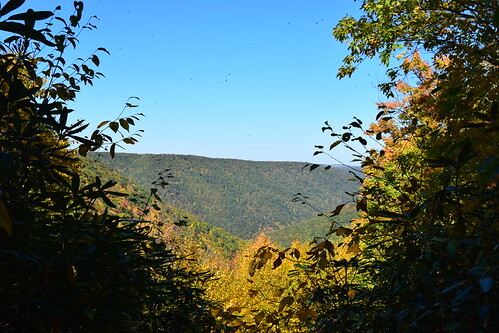 The LT descends into the state park and the hike ends at the cabin road, where your hike on the Butternut Trail began. 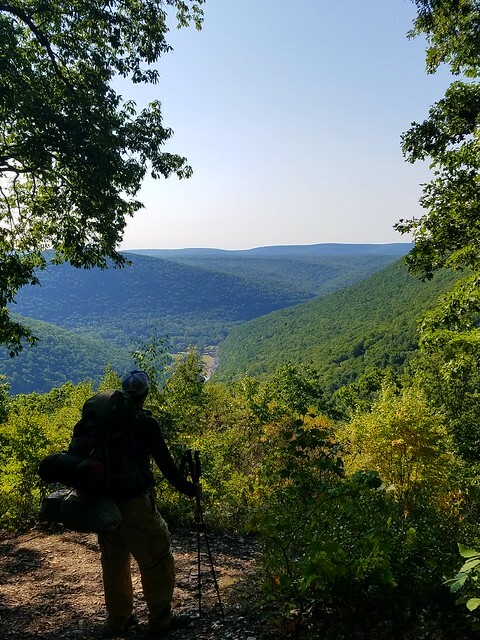 Pennsylvania has the most extensive system of backpacking trails in the east, in fact, it’s trail system exceeds many western states. These are the best of Pennsylvania’s many overnight trails. Old Loggers Path. This 28 mile loop has become very popular in the last few years, and for good reason. It’s isolated, has two shelters, vistas, waterfalls, swimming holes, big rocks, and great camping. Rock Run is a stream of exceptional beauty and Sharp Top has a beautiful view. The OLP generally has moderate, gradual terrain. Loyalsock Trail. This 60 mile route was first established in the 1950s, making it one of the older backpacking trails in the nation. 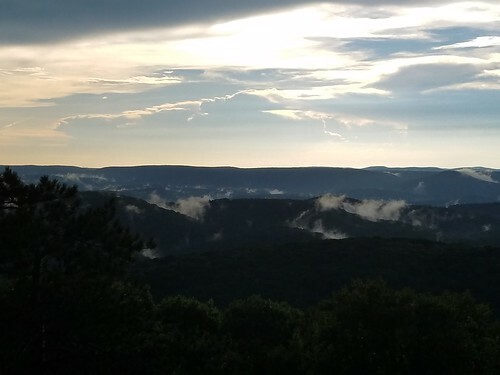 The LT is famous for its diverse and beautiful terrain with gorges, waterfalls, vistas, big rocks, isolation, pond, whitewater rapids, and swimming holes. 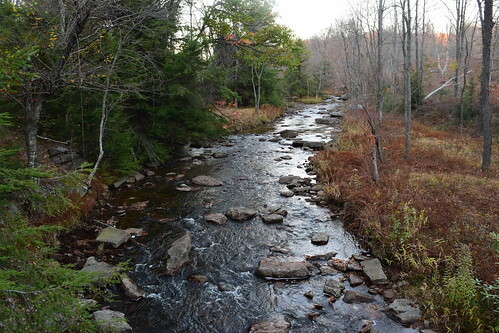 There are many scenic streams and campsites, not to mention hemlock forests along its eastern half. Loyalsock-Link Loop. A great 14 mile loop for an overnight, beginning at Worlds End State Park, or from US 220 and include the Haystack Rapids. Pinchot Trail. A great easier trail for beginner or younger backpackers. The south loop has been re-routed to include Choke Creek, Choke Creek Falls, meadows, wetlands, spruce forests, and cascades-dramatically increasing the scenic beauty of that section. 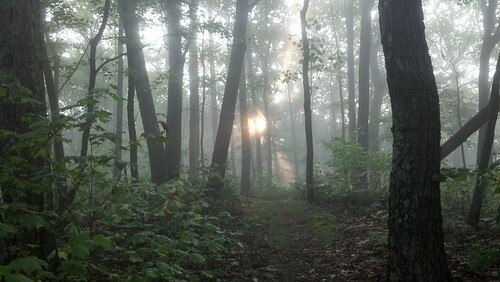 Appalachian Trail (Michaux State Forest). 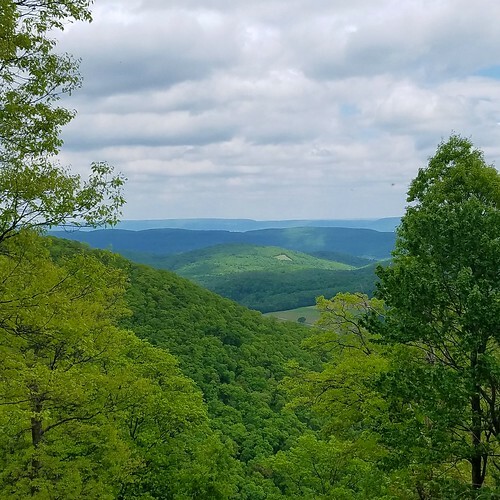 Widely considered the best section of the AT in PA, enjoy historical remnants, great views, several shelters, rock outcrops, ponds, two state parks, and not to mention the Appalachian Trail Museum. Appalachian Trail- Port Clinton to Wind Gap. Yes, this section is known for its rocks. But with rocks, comes views and this section of the AT has some excellent ones, such as the Pinnacle and Pulpit Rock. The scrambling climb up the Lehigh Gap is a highlight as are the deep water gaps, shelters, and rock formations. 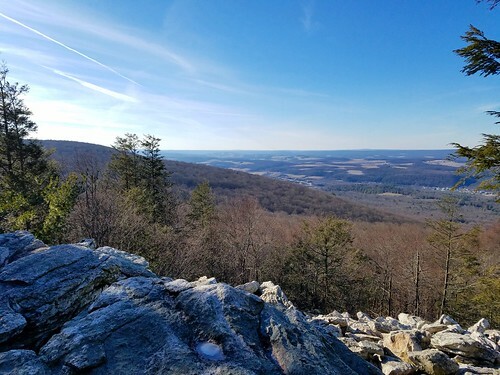 The section of the AT through the famed Lehigh Gap will be rerouted to offer more views and open ridgetop hiking. Black Forest Trail. 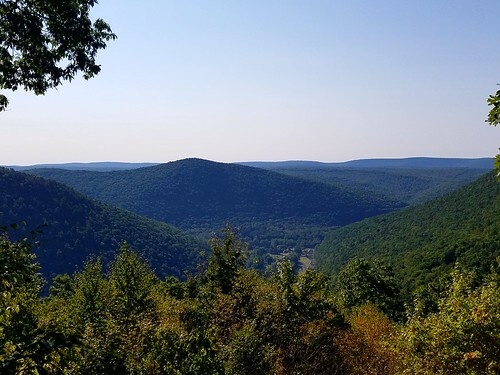 One of PA’s premier trails, the famous 42 mile BFT is rugged and beautiful with stunning views of the Pine Creek Gorge, waterfalls, streams, meadows, and beautiful campsites. This trail has some of the best views in the state. West Rim Trail. 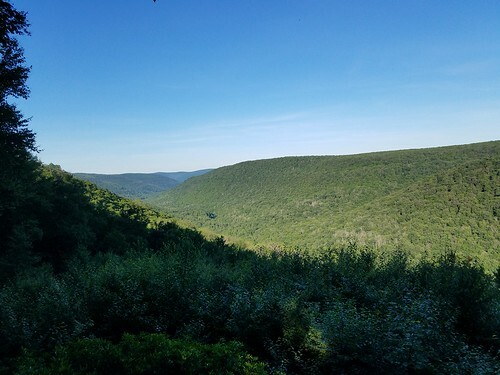 A popular 32 mile route on the west rim of the Pine Creek Gorge with several great views, scenic forests, small streams, and great camping. There are also several off trail waterfalls. Susquehannock Trail. At 85 miles, the longest single-trail loop in the eastern US. The STS offers deep woods immersion with isolation, streams, meadows, some views, and great camping. There are now two shelters and one hut. The highlight is the Hammersley Wild Area and its famous swimming hole. Hammersley Wild Area. 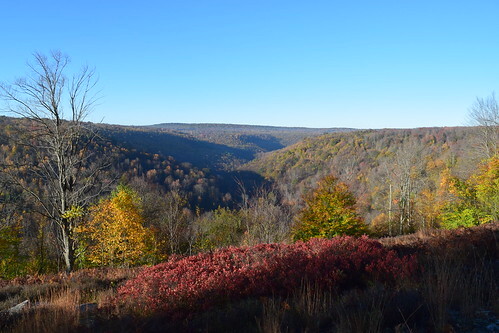 PA’s largest and most isolated roadless area, the Hammersley is a gem. 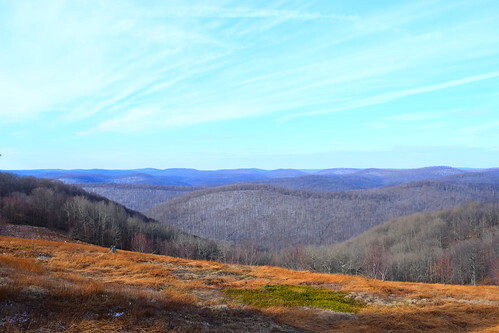 A great loop is via the Susquehannock and Twin Sisters Trail with stunning views from the Hammersley meadows. (Hint: to return to the STS, hike off trail down the ridge from the north side of the meadows, it is an exposed ridge with several great views of the canyon). More trails are planned in the wild area. Hammersley Fork is a stream of great beauty. 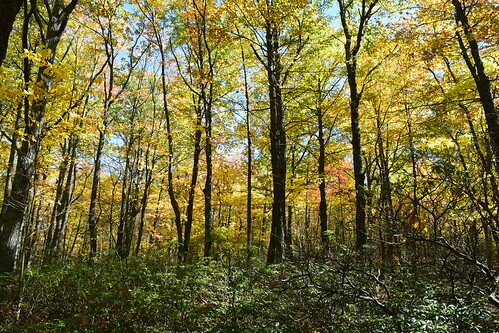 Quehanna Wild Area. 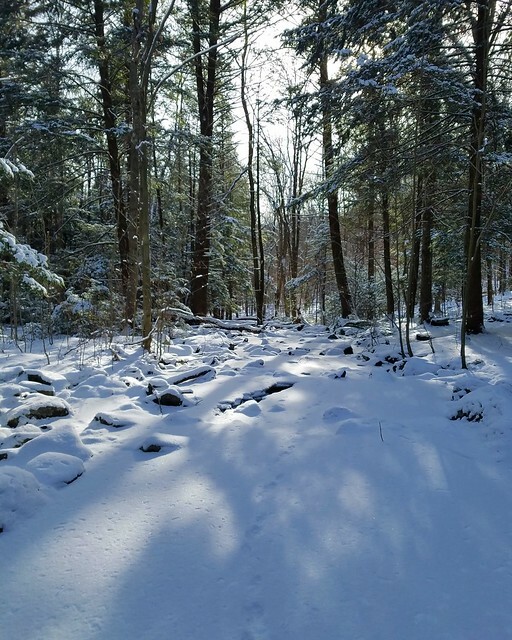 PA’s largest wild area, the Quehanna is a hiking gem with many trails that feature open meadows, spruce and pine forests, gorges, vistas, huge rocks, pond, streams, and great camping. Jungles of rhododendron and laurel fill the gorges. One of my favorite areas. What trails should you hike? 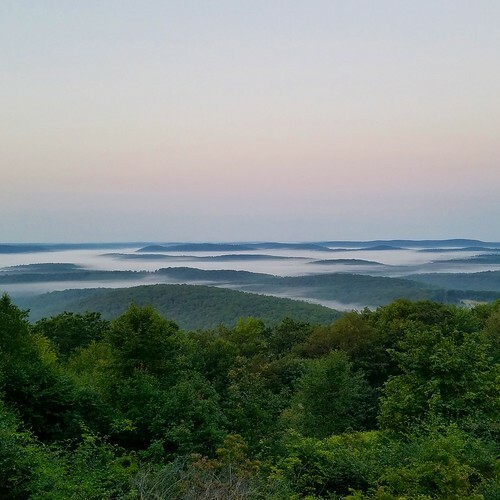 Check out the Quehanna, Bridge, Bellefonte Posse, Kunes Camp, Lincoln, Crawford Vista, David Lewis, Teaberry, East Cross Connector, Sevinsky, Meeker, and Big Spring Trails. Allegheny Front Trail. 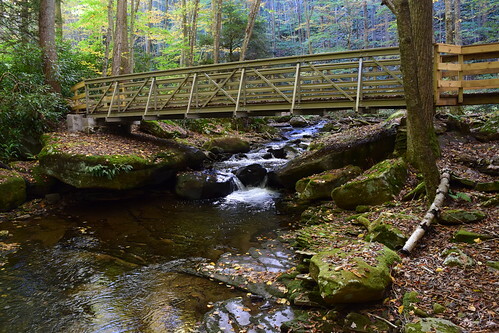 A 42 mile loop west of State College offers superb streamside hiking, boardwalks, views, diverse forests, and rhododendron jungles. There are some excellent campsites. Trails offer a cross-connector and the eastern side of the loop is generally considered the more scenic. Standing Stone Trail. 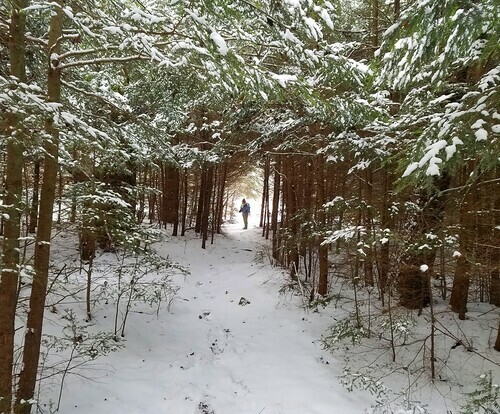 Nearly abandoned in the 1990s, the SST has evolved into one of PA’s finest trails. 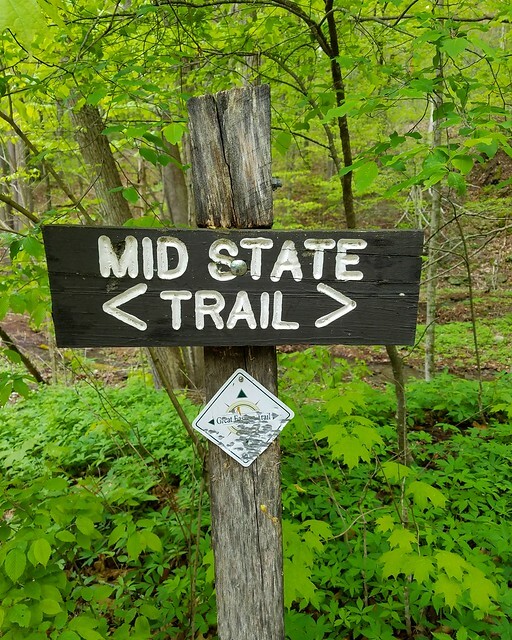 Over 80 miles long and connecting the Mid State to the Tuscarora Trails. It is a part of the Great Eastern Trail. 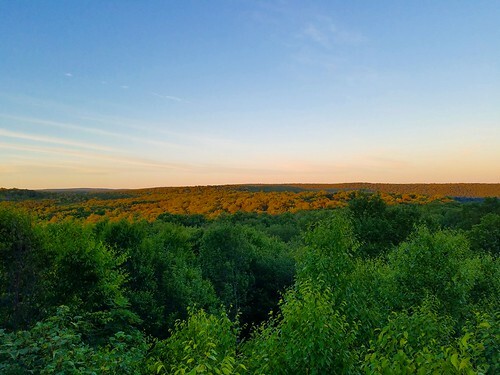 At times rocky and rugged, this trail has awesome views, old growth forests, rock formations, sinkholes, wildflowers, 1000 Steps, historical remnants, and one shelter. 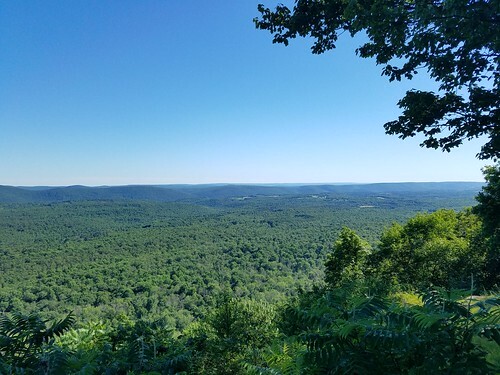 The heart of the MST in the Seven Mountains, PA’s longest trail, features rugged ridgelines with excellent views, old growth forests, natural areas, several state parks, a tunnel, gorges, good isolation and campsites. 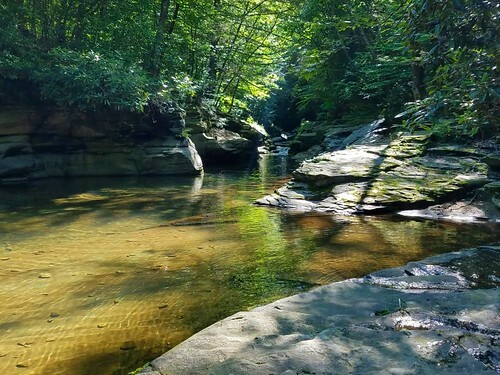 An excellent, rugged hike through the Pine Creek Gorge region that features superb vistas, waterfalls, gorges, rock formations, isolation, historical ruins, big rocks, and incredible swimming holes. North Country Trail-PA 346 to Red Bridge Campground. 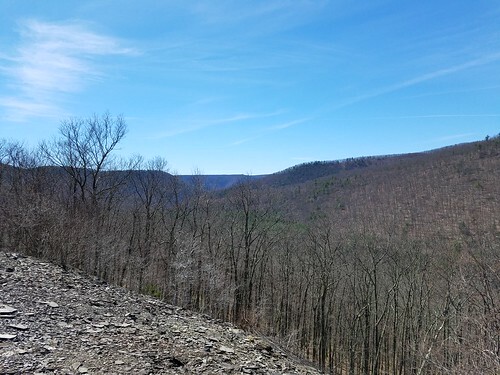 This trail explores the vast, beautiful Allegheny Reservoir with views over the water and great campsites. 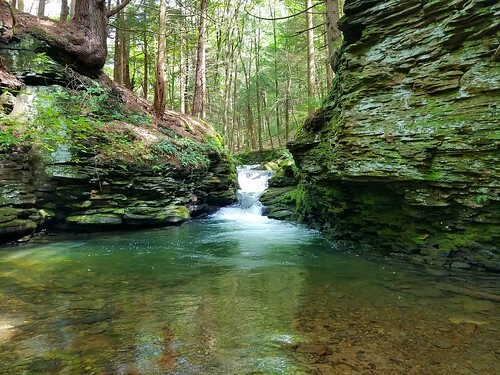 Enjoy hemlock shaded glens, scenic streams, giant boulders, and wetlands. North Country Trail – Guitonville Road to Highland Drive. 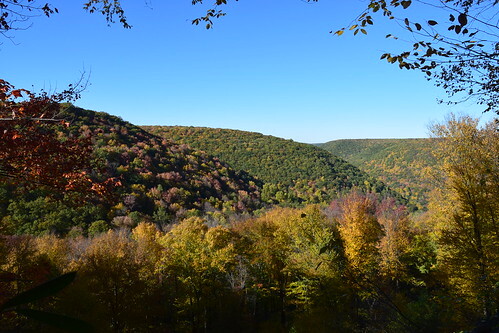 This section explore the stunning Cook Forest State Park and the Clarion River. 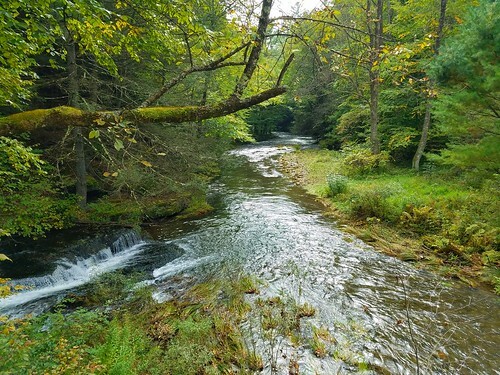 The towering old growth trees are beautiful, as is the serene Clarion River with its pristine water in a forested gorge with jungles of rhododendron. Hikers love Maple Creek north of Cook Forest, and the waterfall on Henrys Run just south of the state park. Morrison Trail. An 11 mile loop with a cross connector. 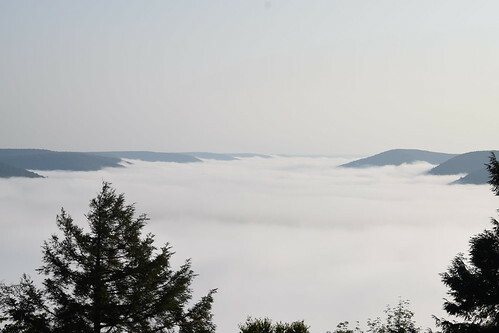 Enjoy house sized boulders, streams, cascades, and views of the Allegheny Reservoir. Be sure to include the cross connector, the most scenic part of the trail. Minister Creek Trail. A popular 7 mile loop is great for an overnight. There are huge boulders, chasms, a views, streams, and great camping. Laurel Highlands Hiking Trail. 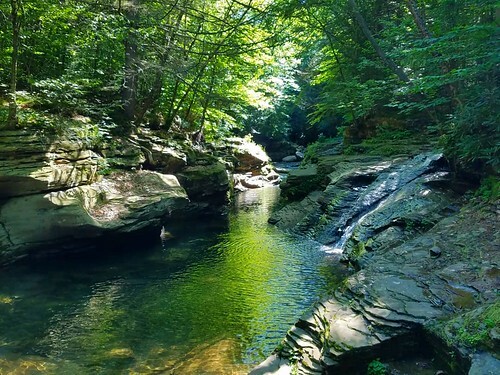 The most popular trail in western PA, the LHHT is well known for its numerous shelters, big rocks, views, scenic forests, and streams. 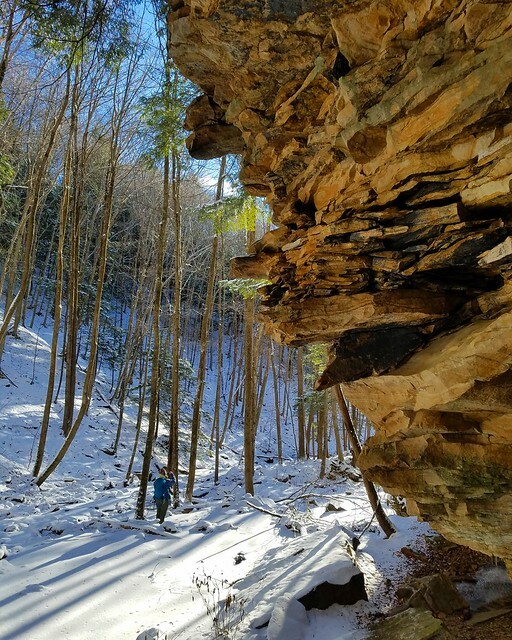 Hike south to enjoy Ohiopyle at the end. Quebec Run Wild Area. A best kept secret, Quebec Run has a network of trails along streams filled with hemlock and rhododendron, making it feel like a jungle. This is a diverse place, with off trail caves, and huge rocks and cliffs north of Tebolt Run, also off trail. Oil Creek State Park (Gerard Hiking Trail). 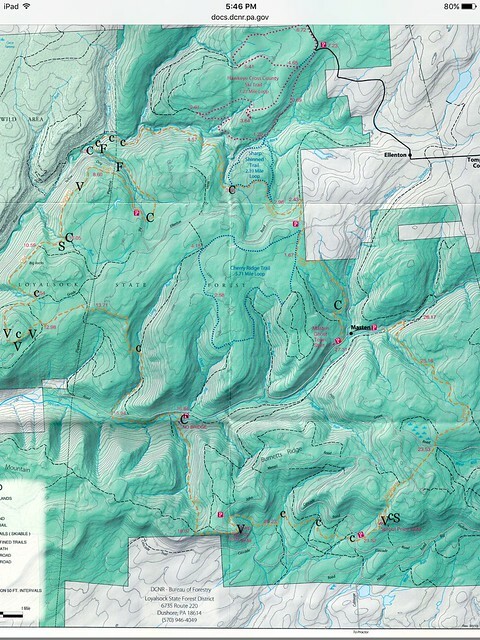 A 36 mile loop with cross connectors that meanders around Oil Creek State Park. There are shelters, views, glens with waterfalls, and remnants of the oil industry, which began there. Backpacking Pennsylvania for more trail info. 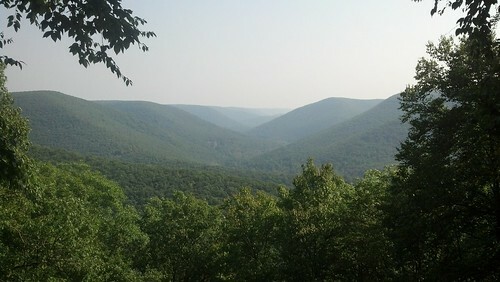 We recently returned to the famous Appalachian Trail (AT) in PA to hike one of its more scenic, and rugged, sections. 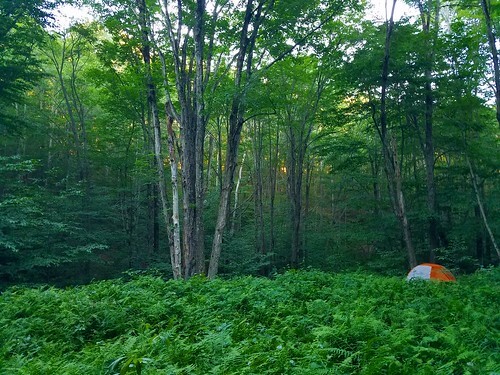 We parked off of Route 309 and soon began hiking north on the AT, passing small campsites and thickets of laurel. The trail was nice, but became increasingly more rocky. 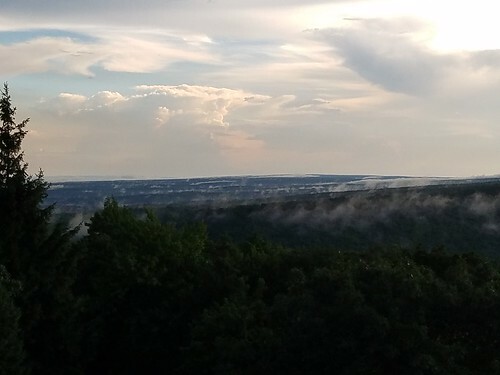 There were some nice views to the south over the rolling farmlands and distant ridges. The trail crossed a powerline with views and a cairn. From there, the rocks began to take over as we reached the crest of the ridge with a fine view. Further up the cliffs was a lone vulture, looking quite large as it enjoyed the sun. Rock hopping soon followed as we passed several other hikers. Large outcrops were to our right. We followed the trail as it scrambled up the rocky spine of the Knife Edge and its superb views. I could see the Pinnacle and Pulpit Rock in the distance. We sat and got a bite to eat in the bright sun. Scrambling the rest of the Knife Edge was fun and we were soon back in the woods, which featured more hemlocks and another good view to the south as we hiked across the rocks. Soon, Bear Rocks appeared to the left and I followed the blue trail to the top, which requires some scrambling. This is one of the best rock outcrops along the AT in PA as it towers over the trees and provides several views to the east and north. I followed the spine of the outcrop, enjoying all the views and the scrambling, finishing with a view to the west. I dropped from the rocks and returned to the AT, retracing our steps back to the car under a setting sun. This is an easy hike in terms of elevation gain, but challenging due to the rocks, Knife Edge, and Bear Rocks. There are several fine views. It is about 3.5-4 miles one way.